Sounds easy to model Dr. Deming's Point #1,- Create constancy of purpose toward improvement of product and service, with the aim to become competitive and to stay in business, and to provide jobs, but in reality, it is quite a challenge. With the labyrinth of financing, regulation, and ordinance hurdles, it's not for the faint of heart. These challenging situations are where the Melan model thrives. We provide solutions to ownership for their financing, construction, and operational hurdles. Our expertise is provided to solve the situation at hand in a mutually beneficial agreement of 6 to 12 months. By offering this solution rich model, both the ownership of the asset and The Melan Hotel Group identify the issues holding up the process and offer viable solutions to those challenges. Throughout New England we enjoy working with a myriad of ownership groups to get their hotels built or properly running. Our best advertisement is our current customers, all of whom have extended their initial agreements. The Melan Hotel Group's model of short term expertise with long term, positive results has proven to be a sagacious investment for select owners. Improve! - That's the consistent focus of our work. We're working with a group from City Center in Massachusetts for the past 9 months. It's going to be a new 52 room boutique hotel RIGHT DOWNTOWN. Hats off to the ownership who have modeled Dr. Deming's Point #1 - Create constancy of purpose toward improvement of product and service, with the aim to become competitive and to stay in business, and to provide jobs. This ownership has a vision for this beautiful hotel. They have several other businesses in the community and have pooled their resources to undertake this impressive project. With flag selection, architecurals, financing, SBA, environmentals, it's been an arduous task. Through it all, the ownership has been steady in their constancy of purpose. Regardless of the setback, hurdles, time delays, additional costs, this group has remained steadfast in their belief that building this hotel will benefit the community. Even though the setbacks have occurred, the group works diligently through every issue. The good news? We will be breaking ground in the next two months - fantastic. The Melan Hotel Group's model of short term expertise with long term, positive results has proven beneficial to this project. Improve! - That's always the focus of our work. This week’s work took us to western NH and a gorgeous boutique hotel along the banks of the Connecticut River. Although the hotel has been open 10 years, it is still in mint condition and is quite impressive. The challenge here is the owner has many businesses and the focus has not been on the hotel. The hotel is only doing a 45% RevPar index, lacks an Innkeeper or GM, and has no sales effort. This is a perfect turnaround situation for The Melan Hotel Group. For six months, we will put our PDSA (Plan, Do Study, Act) cycle into effect immediately. We will hire a General Manager, take advantage of all the branded resources out there, identify our corporate customers, improve the GDS platform /performance, train and uniform the Staff, as well as make direct sales calls to our customers. The focused effort of the above work will result in an improved RevPar and profitability for the hotel owner, a significant increase in the property’s value, as well as happy customers. At the end of 6 months, we are confident the Melan Hotel Group will double the RevPar index, improve the GSS index considerably, and have the owner request we stay on board. Our signature, short term contract arrangements produce favorable long term results for our customers. The Melan Hotel Group model provides the expertise that allows your hotel to maximize its returns. Working with a new hotel owner in the Burlington, Vt. area, we put Dr. Deming's PDCA (Plan, Do, Check, Act) cycle to work with impressive results. When owner purchased the property in early December, our PLAN was to address the Property Improvement Plan, work with a strong General Manager, bring the GDS systems up to standards, address archaic internet performance, standardize breakfast, and hire a professional staff. Under the DO of Dr. Deming's cycle, 8 short weeks later, we are ordering F,F, and E, hired an architect to connect buildings, standardized breakfast, have a strong management team, we are in alignment with the Choice revenue management process, and have fiber optic being brought to the building. We meet tomorrow to CHECK our progress, refine any processes necessary, and then ACT on agreed upon benchmarks. This hotel's performance is impressive, customers are noticing, and our business will continue to grow. Melan Hotel Group provides the expertise that allows your hotel to maximize its returns. Improve! – That’s always the focus of our work. Be it with hotel owners, contractors, banks, or operational teams, there are always opportunities to improve performance. Dr. W. Edward Deming states that there’s a 30% waste (inefficiency) factor in ALL companies. Can you imagine if you improved your sales or bottom line by 30% by implementing Dr. Deming’s 14 points in your work? At Melan Hotel Group, we implement Dr. Deming’s PDCA (plan, do, check, and act, repeat) in all we do. Our work takes us to all parts of New England, working with ownership groups to implement the “constancy of purpose” in their organization that drives impressive results. 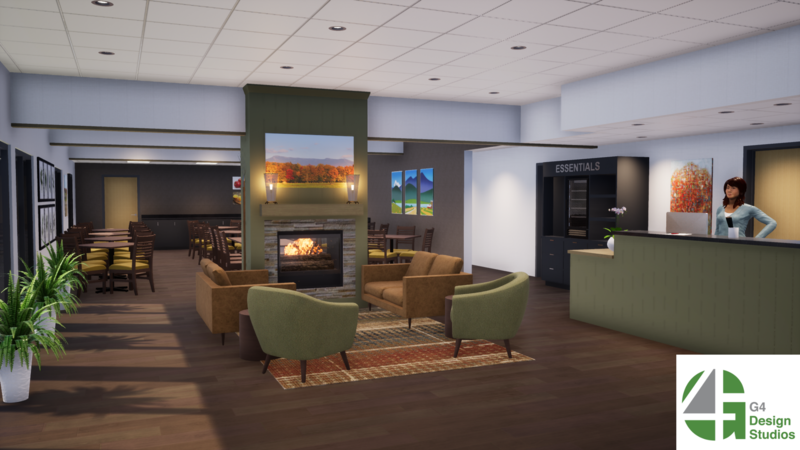 Be it a group of townspeople developing a hotel in mid-Maine, or a restauranteur in city center who is developing his first hotel, working with the Melan Hotel Group has proven to be a gamechanging decision. Through our model of providing excellent service in the business of hotels, our customers have galvanized their projects from concept, to obtaining financing, selecting a flag, ready for shovels in the ground, and are turning their dream into a reality. Melan has assisted throughout the entire process. Our model of providing value and service to our customers, based on many of Dr. Deming’s concepts, is proving to be an excellent value to all. Melan Hotel Group welcomes Brett Benzio as the Digital Marketing Director. Brett joins Melan after working for 4 years as a collegiate and prep-level basketball coach using social media and marketing techniques to recruit potential student-athletes and to create a brand for the school she was representing. A graduate of Tulane University's undergraduate business school, Brett recently graduated from Lynn University with her MBA with a focus in Media & Marketing Management. During her time at Tulane, Brett worked as an intern with the NCAA Final Four local organizing committee in its marketing and media relations departments. 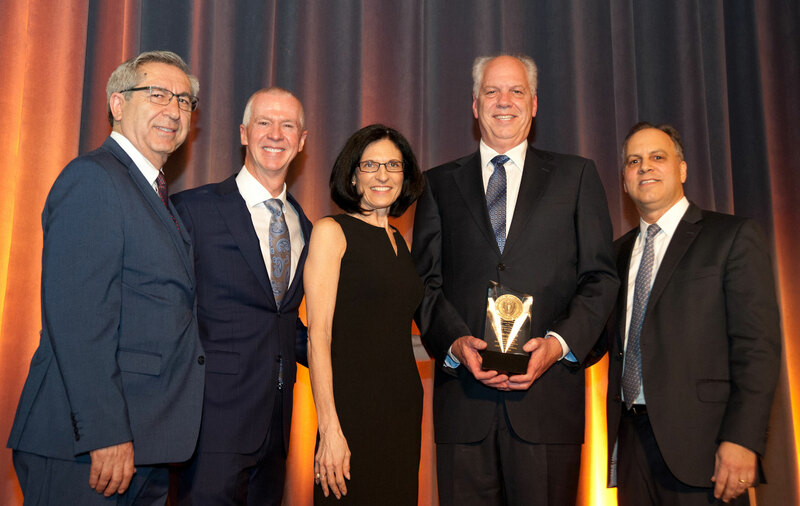 Rob McCarthy recently was recognized at the Annual Awards Dinner by the Isenberg's School of Management with a special recognition award for his lifetime of leadership, dedication and commitment to the HTM program and alumni board. Mr. McCarthy was honored for his 17 years of service to the department and recognized as one of the founding members to lead the board over the years. Rob has continued to support the program over the years in giving back to the department through fund raising efforts, supporting academic programming with mentorships, guest lectures, internships and networking for the alumni. Rob was previously recognized for his contributions and achievements to the department and industry when he received the Stephen Elmont Award in 2015.